“Buddhist Psychology Lecture Series” monthly program is intended for psychotherapists interested in Buddhist psychology, meditation, or mindfulness. Each lecture will address theoretical and clinical issues at the interface of mindfulness and psychotherapy, with topics ranging from addictions to loving kindness to the latest research in neuroscience. These evenings offer an opportunity to gather with colleagues in an informal setting to explore the expanding intersection between Buddhist psychology and modern psychotherapy. Most lecturers are long-term meditation practitioners with specific areas of clinical expertise. Didactic presentations will be followed by Q&A and discussion, moderated by Tom Pedulla, LICSW. 2 CE’s are offered each evening to psychologists, social workers, nurses, LMFTs and LMHCs. Patients who suffer from Generalized Anxiety Disorder (GAD) experience out-of-control worry and physical stress symptoms. While meditation has been shown to reduce anxiety, some scientists have expressed doubts, stating that observed effects could be due to non-specific/placebo effects. To address these concerns, we conducted a randomized, controlled study examining Mindfulness-Based Stress Reduction for GAD. The effects on stress resilience were assessed by having participants perform a series of laboratory stress tasks while saliva and blood samples were measured. Results from the psychological and biological measures will be presented. Participants will be able to: 1) identify the theoretical pathway by which mindfulness meditation might reduce symptoms of GAD; 2) describe some observed effects of mindfulness meditation on anxiety symptoms and biological stress reactivity. “Gross National Happiness is more important than Gross National Product.” So proclaimed the new 16-year-old king of Bhutan, Jigme Singye Wangchuck, in 1972. Wangchuck’s vision became a national policy that continues to thrive today—and is being adopted around the world. Among GNH’s key domains: psychological well being, sufficient time for personal and spiritual activities, and community vitality. The government even requires children to practice mindfulness at prescribed periods during the school day! This talk will examine how Buddhist-inspired GNH is faring in the Himalayan kingdom where it was born—and where the idea is headed globally. Participants will be able to 1) describe how collective happiness can be a bona fide goal of governance; 2) discuss how the Bhutanese model of mindful happiness can be adapted to the United States. Buddhist psychology views metta as always with us, our inherent nature to be kind and loving regardless of external conditions. Yet it is often quite a long road from self-judgment, self-blame, and shame to a genuine loving, accepting, and forgiving heart. What gets in the way? We will examine this question from an IFS perspective, looking specifically at parts of us that block our ability to receive self-compassion. The presenter will offer meditations, combining metta practices and IFS principles, that are designed to be used clinically to help people soften and open their hearts to themselves. Participants will be able to: 1) explain the IFS concept of “self-energy” as it relates to the concept of “buddhanature;” 2) understand the IFS concept of “unblending” as a step toward deepening one’s capacity to open the heart to self-compassion; 3) learn specific meditations to help patients unlock their capacity for self-compassion. What happens to our brains when we practice mindfulness? Does meditation induce neurological activities that allow us to decrease negative perceptions of self and the world and replace them with more adaptive mental processing? This talk will provide a summary of an exploratory neuroimaging study comparing advanced and novice meditators who, by using a form of mindfulness training that involves mental noting and labeling, were able to reduce excessive mental imagery, self-talk, feelings, and physical sensations. The implications for clinical practice will also be explored. More and more studies are indicating that meditation can produce beneficial changes in our brains. This talk will review recent research from labs at Mass General and across the country that are revealing what happens in our brains when we meditate, and how this leads to long-lasting changes in stress, well-being and general affect. No knowledge of neuroscience is necessary. Participants will be able to: 1) discuss the role of the amygdala in stress, and how it is impacted by meditation; 2) describe the role of neuroplasticity in the therapeutic process. This presentation will review the current scientific literature on mindfulness-oriented approaches to addiction treatment and recovery. Principles for integrating mindfulness and meditation into treatment will be described. The presenter will outline the emerging scientific evidence supporting neurobiological, psychological, and physiological mechanisms through which mindfulness practice benefits addiction recovery. Participants will be able to: 1) understand the role of neuroplasticity in addictive disorders; 2) review the current literature on the efficacy of addiction treatments that integrate mindfulness with cognitive/behavioral therapies; 3) describe principles for successful integration of mindfulness techniques into therapy for clients with addictive disorders. 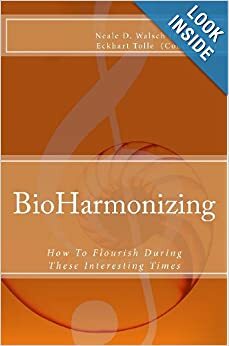 « 12.12.12: “BioHarmonizing 2013” is free on Amazon!